The land of 3D printers continues to grow, in addition to still appear new applications and functions around them. 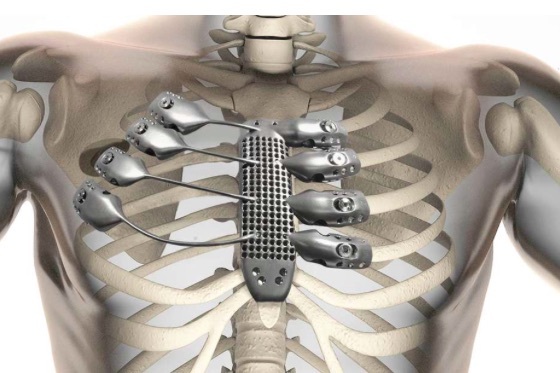 We have already seen them in the field of medicine, the construction of structures, prostheses, cars, finally, we are coming to a point where everything will be possible through 3D printing. Of course, to get this on a massive scale, is needed before printers and materials go down in price, so that they reach to the average consumer and start your real deployment. Today again we are at an interesting use of a 3D printer, created by a collaboration of MIT Media Lab and the Mediated Matter Group, which consists of the first printer capable of print transparent optical glass in three dimensions. This printer named as G3DP (Glass 3D Printing), works on the existing substance, i.e., does not create the glass from scratch, since its objective is to work with glass to create structures and objects made from this material. Despite this, we are to the first printer capable of handling glass liquid. The operation of this printer is based on a double heat Chamber, the upper chamber acts as the cartridge, who is in charge of storing and providing material, which works to about 1037 degrees Celsius, While the lower Chamber serves for tuning the structures, cooling them to soften the glass. Inside the cartridge, you can store enough material for a structure of 50 centimeters high, but it also depends on the finishes and designs that you want to use. The molten material is channelled through of a tip from alumina-circon – silica. Of course it is connected to a computer, where the design can work in 3D modeling software, but this software also has functions that allow you to adjust the variation geometric, optic, transparency and limit the transmission of light, so create glasses of reflection and refraction. Most impressive of all, is see it in operation, where many consider that it is up to relaxing. In the following video we will see it in detail.